Kampot, 캄보디아의 더 리버로지 | 호스텔월드에서 예약하세요. 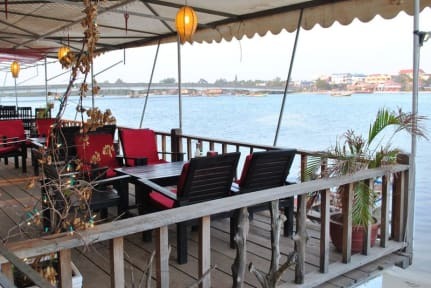 Situated on the private banks of Kampot River, The River Lodge is conveniently a 15-minute walk to Kampot Central Market and the city centre. Free Wi-Fi access is available in the entire property and parking is provided on site at no charge. 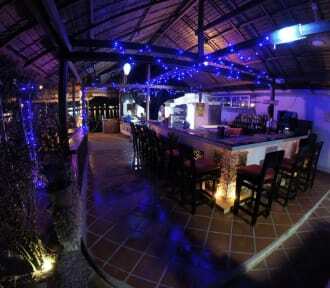 The River Lodge is within 26 km to Rabbit Island and approximately 37 km to Bokor Highland Resort. By motorbike 20 minutes to Kep. Offering views of the in-house garden, air-conditioned rooms are fitted with tiled flooring, desk, a fridge and a flat-screen TV with cable channels. The attached bathroom with hot/cold shower and free toiletries. The River Lodge operates a late front desk that can assist with luggage storage and bicycle/car rental services. Sightseeing activities and travel arrangements can be made at the tour desk. Airport transfers can also be arranged at extra charges.